These descriptive catalogues provide detailed listings of the contents of manuscript collections held in the Irish Capuchin Archives. 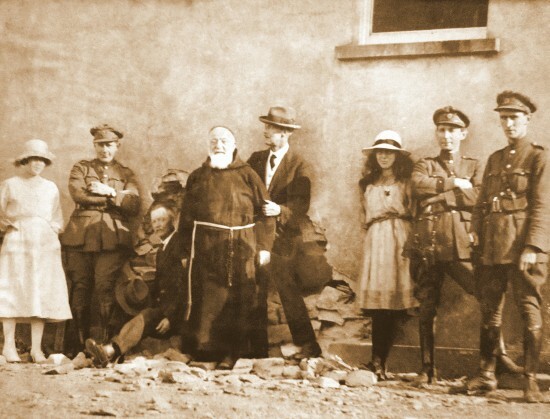 The collection consists of the correspondence and papers of Capuchin friars detailing their involvement with participants in the nationalist struggle for independence including material relating to the 1916 Rising, the War of Independence and the Civil War. The majority of the material dates from 1916-1925 and includes many records highlighting the role played by various Irish Capuchins in ministering to republican leaders and their relations. Of particular interest is a large collection of ‘prison letters’ including the correspondence of some of the leading figures of the Irish Revolution. The collection also includes a large assemblage of republican publicity material, newspapers and miscellaneous items of ephemera and artefacts mostly relating to the military and political campaign organised by Irish nationalists for independence. Br. Felix Harte OFM Cap. (1861-1935) with Free State soldiers inspecting damage following the attack on the Four Courts, Dublin, during the Civil War in July 1922. 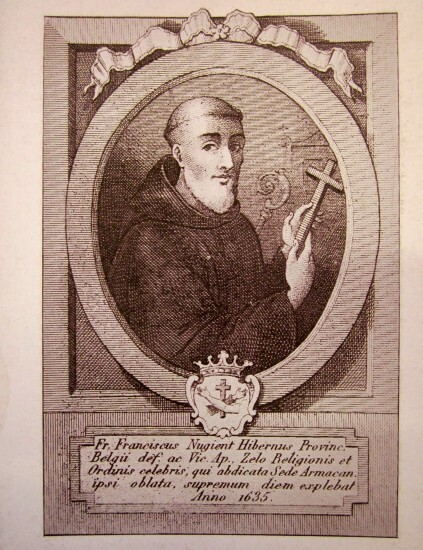 Francis Lavalin Nugent (1569-1635), the first Irish priest of the Capuchin Franciscan Order. A collection of historical transcripts and other sources relating to the Irish Capuchins. The collection includes transcribed material and surrogate copies of records covering the years from the foundation of the Capuchin mission in Ireland in 1615 to the re-establishment of the Irish Province of the Order of Friars Minor Capuchin in 1885. The seventeenth and eighteenth-century records of Irish Capuchin foundations in France offer an important insight into the singular existence of an exiled Irish community in Early Modern Europe. Other records provide important statistical information in respect of the Order’s pastoral work and missionary activity in nineteenth-century Ireland. The collection also includes unpublished historical writings and biographical material relating to notable Irish Capuchins. The collection reveals the enormous wealth of Irish Capuchin source materials which can be found in continental archives and libraries. A collection of documentary evidence and research papers compiled for the beatification cause of Fr. Fiacre Tobin OSFC and Fr. John Baptist Dowdall OSFC. These two Irish Capuchin friars were among a very large group of Irish martyrs held to have suffered for the Catholic faith during periods of religious persecution between 1537 and 1714. 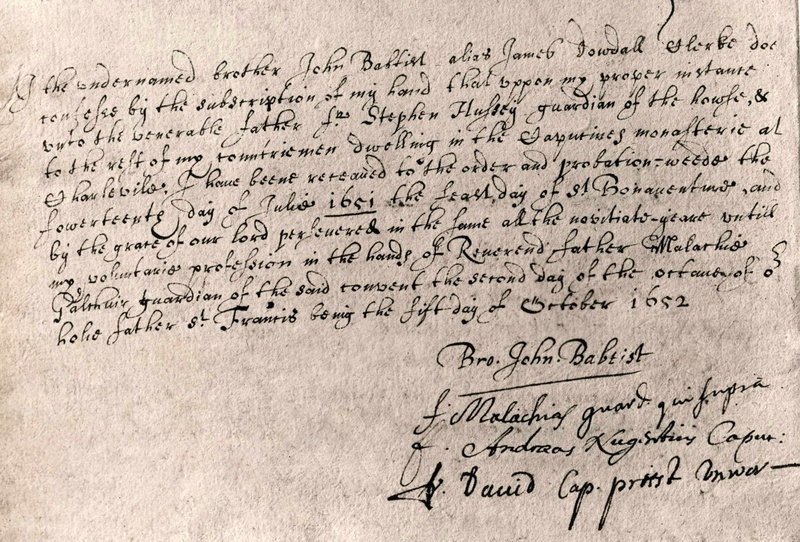 The collection includes much information (and documentary evidence) on the Irish Capuchins in the seventeenth century. The collection includes transcribed source material, research notes, correspondence, publications and ephemera compiled for the beatification cause of these two Capuchin Servants of God. 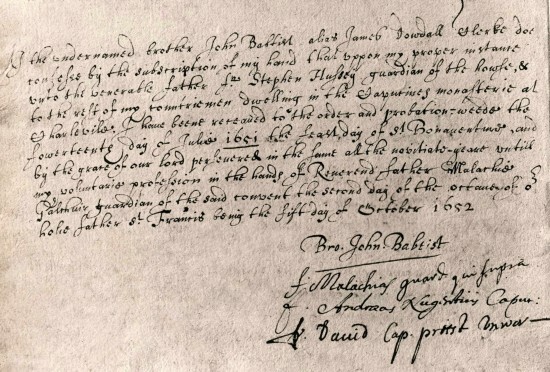 Act of profession of John Baptist Dowdall (c.1626-1710) at the Irish Capuchin Friary in Charleville (now Charleville-Mézières), France, 5 October 1652. The exterior of the Capuchin Church and Friary of St. Francis in Kilkenny built in 1848. The collection consists of records relating to the Capuchin community in Kilkenny City and in particular to the foundation known as the Church of St. Francis situated on Friary Street (formerly Walkin Street). The Capuchin presence in Kilkenny can be traced back to 1643. The collection includes legal records relating to the acquisition, transfer and disposal of church property (such as deeds of title, mortgages and bills of sale), financial records, and material relating to individual members of Capuchin communities in Kilkenny. 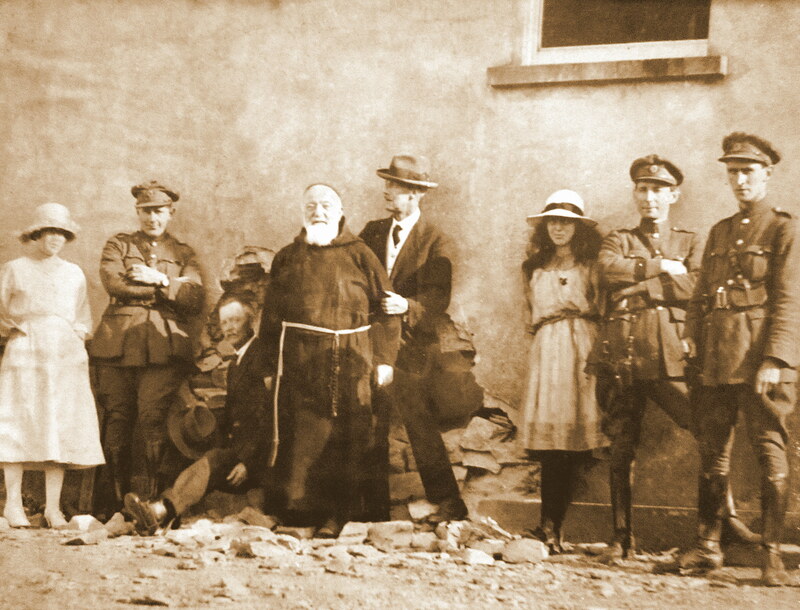 The collection includes a large number of administrative and community files, financial statements and books of account relating to building construction and structural alterations, correspondence, plans, publicity material, photographs, library books and miscellaneous items of commemorative ephemera connected with Capuchin ministries and apostolates in Kilkenny. The collection also includes unpublished historical writings and biographical material relating to notable members of the Capuchin Order who ministered in Kilkenny. 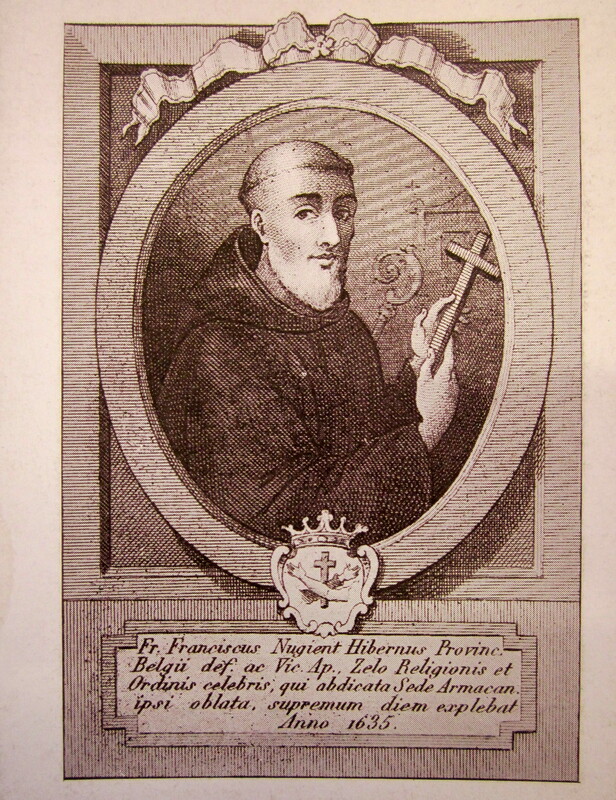 The collection also includes records relating to the lay religious sodality known as the Third Order of St. Francis (now the Secular Franciscan Order) attached to the Capuchin Church in the city. Fr. 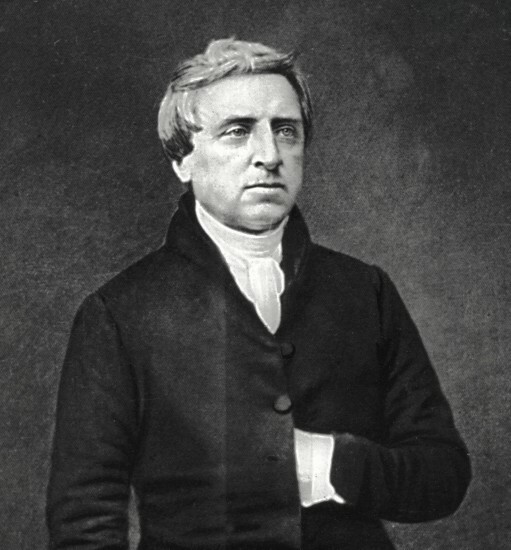 Theobald Mathew OSFC (1790-1856), photograph by Mathew Brady, 1849. A collection of research material relating to Fr. Theobald Mathew OSFC (1790-1856) and the temperance crusade. The collection includes material relating to various commemorations of Father Mathew and his total abstinence campaign from the nineteenth century onwards. This catalogue includes a detailed listing of correspondence, publications, transcribed source material, research notes, circulars, newspaper cuttings and ephemera relating to various temperance organisations. The catalogue also lists a highly significant collection of original artefacts such as temperance society medals, total abstinence pledge cards, prints, posters, photographs, temperance memorabilia, manuals, church plate, ephemera and other items and relics associated with Father Mathew and his temperance movement from the 1830s to the 1850s. These items were collected by various Capuchin friars in the late nineteenth and early twentieth centuries with a view to exhibiting them for devotional and historical purposes. 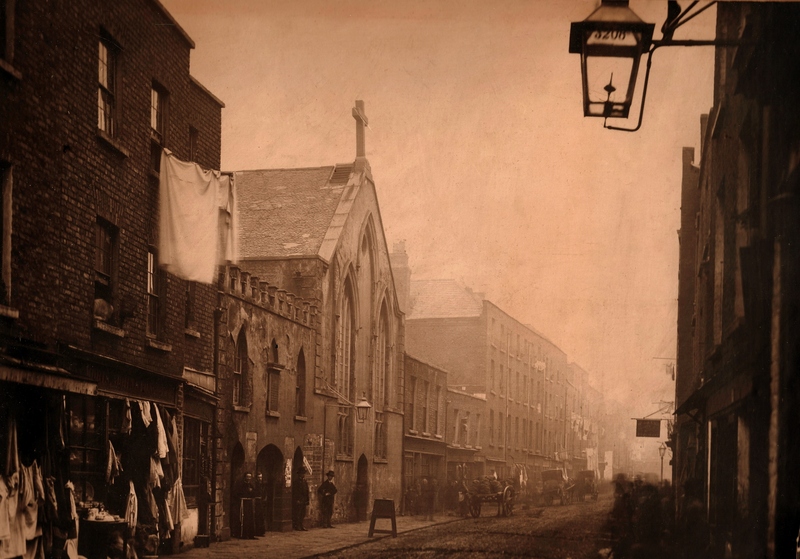 Exterior of Old Capuchin Chapel, Church Street, c.1861. 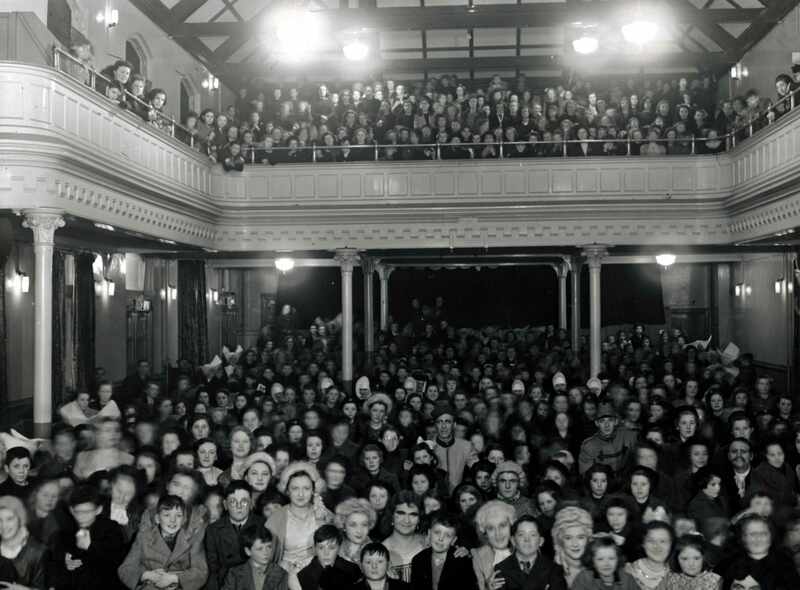 The collection consists of records relating to the Capuchin community in Dublin and in particular to the foundation known as St. Mary of the Angels situated on Church Street. This street, one of the oldest thoroughfares on the north side of Dublin, has long been identified with the Capuchin Franciscans. For many years the friars have been known as the ‘Church Street Fathers’. Yet Church Street was not the location of their first residence in Dublin. The first Capuchin friars arrived in Dublin in 1615. At first, they settled on the south side of the city near Thomas Street before moving to Bridge Street in about 1632 and later still to a house not far from Saint Audeon’s Arch. By 1691 the Capuchins were resident in the environs of Church Street. The first chapel on the present site was fitted up in Roscommon House in 1720. This chapel was entirely repaired in 1736 and replaced by a slightly larger church in 1796. The foundation stone of the present-day St. Mary of the Angels was laid in 1868 and dedicated in 1882. The collection includes legal records relating to the acquisition, transfer and disposal of property (such as deeds of title, mortgages and bills of sale), financial records, and material relating to individual members of Capuchin communities and their ministries in Dublin. The collection also includes a large number of administrative and community files, financial statements and books of account relating to building construction and structural alterations, correspondence, plans, photographs and ephemera. The catalogue also lists records and registers relating to the lay religious sodality known as the Third Order of St. Francis (now the Secular Franciscan Order) attached to the Capuchin Church in the city. 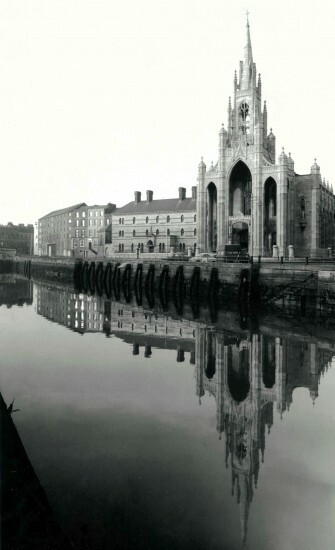 The collection consists of records relating to the Capuchin community in Cork city and in particular to the foundation known as Holy Trinity Church and Friary situated on Father Mathew Quay (formerly Charlotte Quay). 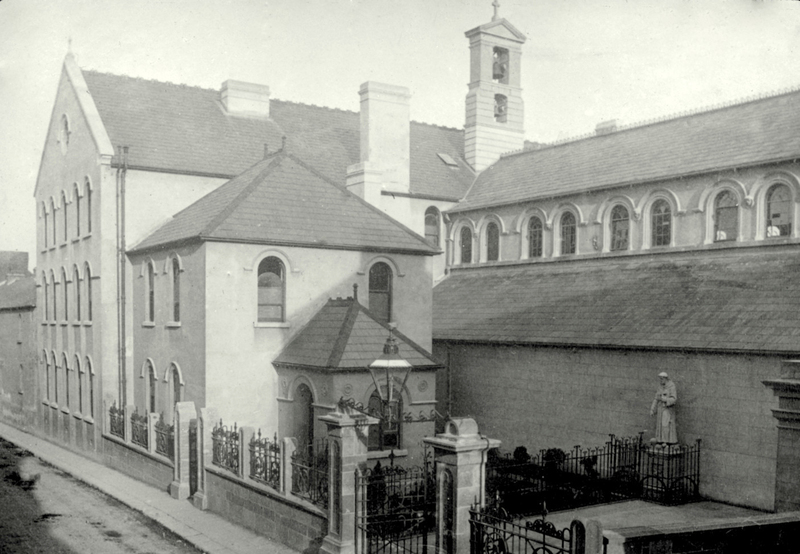 Although the Capuchins arrived in Cork as early as 1637 it was many years before they took up residence on the site now occupied by Holy Trinity Church. Initially, the Capuchins resided on the southern side of Cork, just outside the South Gate. By the early eighteenth century the Capuchins appear to have established a permanent apostolate in the South Parish and by 1741 had built a small Friary on Blackamoor Lane situated just behind O’Sullivan’s Quay. By the mid-1820s, Fr. Theobald Mathew OSFC (1790-1856) decided to build a larger church in a more convenient location. A site on Charlotte Quay below Parliament Bridge was eventually acquired. The Gothic Revival design for Holy Trinity Church was conceived by the Cork-based architect George Pain (1793-1838).Construction work on the church began in the early 1830s but stalled shortly before the Great Famine. It was completed in 1890, in time for the centenary of the birth of Fr. Mathew. The collection includes legal records relating to the acquisition, transfer and disposal of church property (such as deeds of title, mortgages and bills of sale), financial records, and material relating to individual members of the Capuchin community in Cork. The collection includes many administrative and community files, financial statements and books of account relating to building construction and structural alterations, correspondence, plans, publicity material, photographs, rare books and miscellaneous items of ephemera connected with Capuchin ministries and apostolates in Cork. The collection also includes records and registers relating to the Third Order of St. Francis (now the Secular Franciscan Order) and other lay sodalities and confraternities attached to Holy Trinity Church. The collection consists of records relating to the Temperance Halls established by the Capuchin Franciscans in Dublin and in Cork. Most of the material dates from circa 1890-1960. The records relate to the establishment of sodalities and confraternities, the opening and operation of temperance halls, and the organisation of missions and retreats connected with the promotion of the Total Abstinence movement. The collection includes minute books, administrative files, financial statements, correspondence, plans, publicity material, newspapers, photographs and miscellaneous items of ephemera and artefacts connected with the use of these halls for the promotion of temperance and as locations of recreation for members of various local total abstinence societies. The collection also includes records relating to the annual Father Mathew Feis (Feis an t-Athair Maitiú). The Dublin Feis Maitiú was inaugurated in 1909 by Fr. Aloysius Travers OFM Cap. (1870-1957), who saw the need for a festival to encourage people interested in preserving Irish culture and language. The programme for the annual Feiseanna gradually expanded to include competitions for singing, instrumental music, speech and drama, in both English and Irish. A similar Feis Maitiú was established in Cork in 1927 by Fr. Micheál Ó Sé OFM Cap. (1892-1958). The collection consists of organisational records and promotional materials which document the activities of the Father Mathew Feis and records relating to educational lectures, concerts, sketches, dramatic plays, pantomimes and other social and cultural events held in these Halls to further the cause of temperance. The African mission collection in the Irish Capuchin Archives includes correspondence, visitation reports, financial records, minutes, newsletters and missionary magazines, travelogues, linguistic material, regional histories and personal mission journals and diaries. The collection also includes a very large collection of photographic albums and prints. The papers offer a rich source for church and mission history. 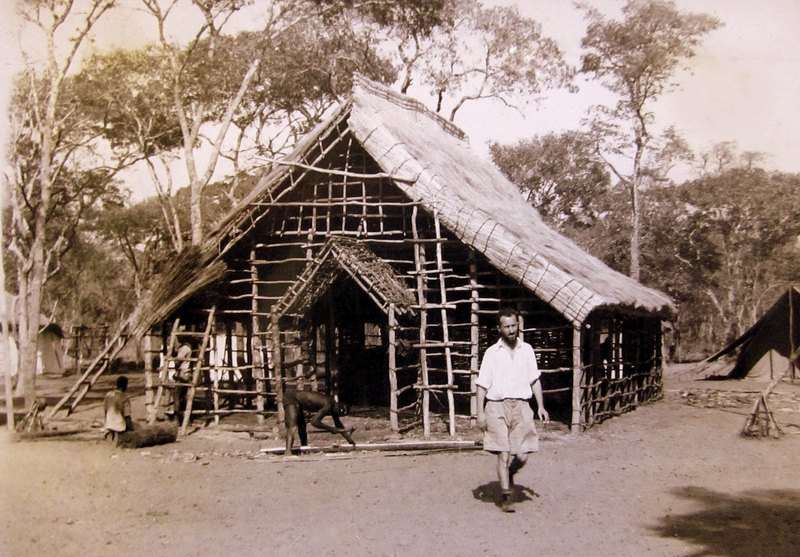 As the work of the missionaries in Africa embraced not just evangelism, but also, for example, education, medical work, language study and translations, and the development of local agriculture and industry, these records are a valuable source for studies across a wide range of research interests and disciplines. The collection comprises material sent back to the Irish Capuchin Province and to the Foreign Mission Office by Capuchins in Africa from the 1930s onwards. The papers chronicle the life and work of the Irish Capuchins since their arrival in South Africa in 1929 and in what was then known as Northern Rhodesia (later Zambia) in 1931. Geographically, this work took place primarily in Cape Town, South Africa, and in Barotseland, later the western province of Zambia. The records reflect the impact of the Irish Capuchin missionary presence particularly in the building and management of parishes, and in the fields of education, health-care provision and socio-economic development in Africa. This guide provides a contextual introduction to the collection and an outline of its content.